sailing through technical expertise, design, writing or vision. Inductees receive a unique Hall of Fame Laser Cube. Nominations to the Hall of Fame are welcomed from any Laser Class member, with a selection vote to be taken annually by the ILCA World Council. With a concept in mind and a set of line drawings from friend and fellow Canadian, Bruce Kirby, in 1970 Ian created a boat, rig and manufacturing process and, very importantly, class rules and member association, that has essentially remained unchanged to this day, and that still represents the epitome of one-design sailing. By 1974, Ian had opened nine majority-owned plants worldwide building the Laser, and the rest is history. Often regarded as the Father of the Laser, in 2009 Ian received The Order of Canada, the nation’s highest honour. 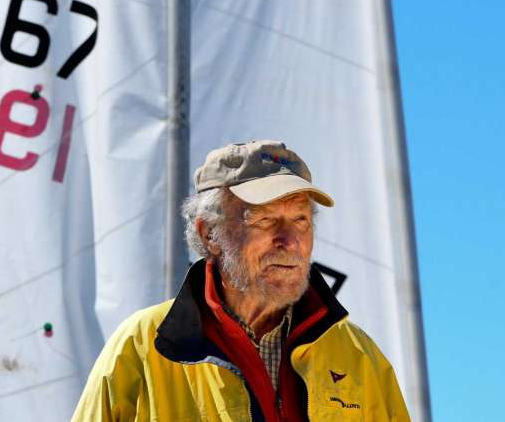 Ian sailed in two Olympics (1960 and 1972 in the Finn and Star Classes), and also designed and/or built 11 other international sailboat classes. Bruce started his career as a reporter in Montreal before editing Yacht Racing magazine and, in his spare time, took up yacht design and drew what became the most successful dinghy in all of sailing. 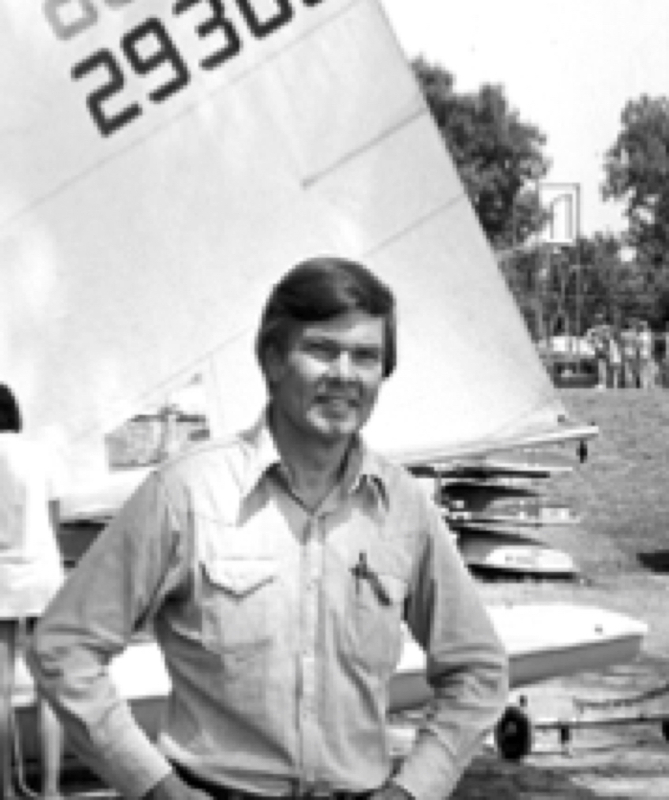 Recognized around the world as the designer of the Laser, Bruce’s sailboat design career also embraces seven renowned International 14′ Dinghy designs, a multitude of successful one-design classes and an America’s Cup 12 Metre. Bruce also represented Canada at the Olympics 1956 and 1964, sailing Finns, and in a Star in 1968. Bruce is a member of the International Yacht Racing Hall of Fame, and both the Canadian and U.S. Sailing Halls of Fame. Bruce received the Order of Canada in September 2018. 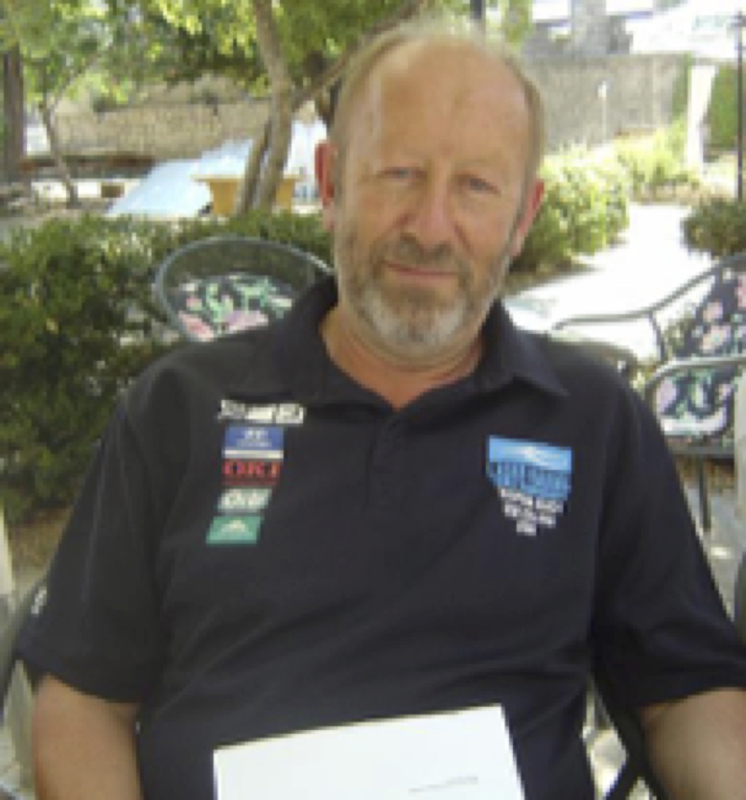 To many people in the sailing community, the name Jeff Martin is synonymous with the Laser class, having served the class for over four decades as Executive Secretary. Sailing since he was 13, Jeff has competed in keelboats, offshore, and quarter-ton boats as well as Lasers. During the 1970s he sailed Tornados, winning the European Championship. Jeff has been at every Laser Standard World Championship, competing in the first Worlds in 1974 in Bermuda, and has served and continues to serve and promote the class at most of the Laser World Championships held since, plus numerous Radial, Masters and Laser Youth Worlds Championships. Marit is regarded as truly the first female Laser sailing champion, who made her mark in the Laser Standard rig well before the Radial rig was introduced. She won a combined total of 10 sailing world titles, including 3 World titles in the Europe singlehanded dinghy (1978, 1979, 1981) and 4 titles in the Laser (Standard rig) at the IYRU World Women’s sailing championships (1979, 1981, 1982, 1983). Marit then stepped into the 470 dinghy where she helmed to a victory at the 1988 World Championships, followed by brining home the silver medal from the 1988 Olympic games in Seoul, Korea. Marit also sailed in two open Laser Worlds (1980 and 1985), competing against men, and captured the Women’s world title at both events. 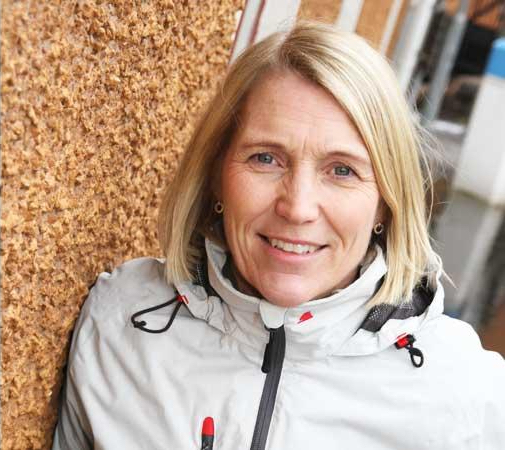 One can only imagine the titles and medals Marit might have won had the Laser Radial been around and an Olympic boat during the peak of her sailing career. 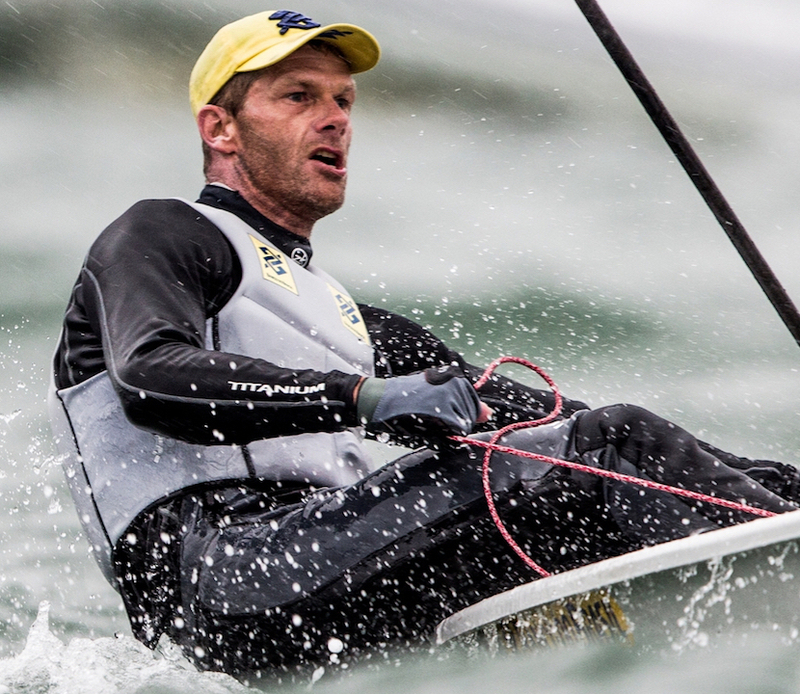 The 2018 Laser Masters World Championships marked Peter’s 32nd straight appearance competing at the event, and he’s captured a remarkable 13 world titles in his age category to date. 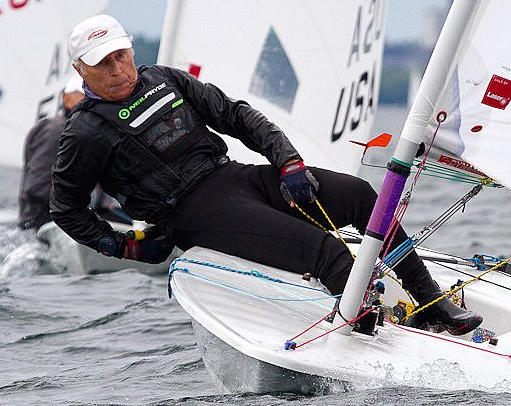 Known as the “Iron Master” of Laser sailing, the only Masters Worlds he missed was the first one held in France in 1980, and that was only because he wasn’t aware the event was being held! Peter also created the Seitech Dolly that became the standard dolly in North America and beyond not just for Lasers, but for many dinghies. Read more about Peter here, including his incredible tale of how in 1963 in the dead of night he and a friend escaped in a kayak from communist East Germany on to freedom.